Beer, the amber nectar, is one of the most loved alcoholic beverages in the world. It is believed that the ancient Egyptians began brewing beer out of barley as far back as 5,000 BC. There were even Gods dedicated to the art of brewing. 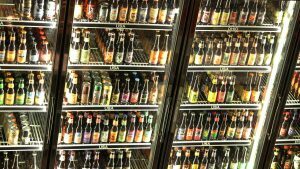 If you intend to go on a brewery trip, you should get to know the three basic types of beer that you can get around the world. There are different variations of the three main categories. One of the most popular types of beer in the world is Lager, which has its roots in Germany. It is stored at very cold temperatures, and is normally crisp, gassy and slightly bitter. It can even be found in a black form, called Bock. Most have a pale amber hue and are synonymous with Germany, the Netherlands and the Czech Republic. Ale is usually associated with England, and the North of the country in particular. It used to be a staple brewed by monks at the various abbeys. Ale is brewed with yeast in cellar barrels. It is normally quite heavy with quite a strong hop flavour. Stouts, also known as Porters, and the roots of their origins, can be found in the United Kingdom and Ireland. The beverage is very robust and has a hardy strong character. The head is normally very creamy, and the taste can be described as fruity and extremely bitter at the same time, due to the barley used in the brewing process. There are some other types of beer which are completely distinct from the above mentioned ones. These include: Wheat Beer, which is made in Germany; alcoholic Ginger Beer, which is made in Australia; and Indian Pale Ale, from India, which is enjoying a resurgence around the world.